Writing cold emails is brutally tough. When people are getting 121 emails per day, it’s almost impossible to stand out. And that’s not including spam or promotional offers from other companies competing for their attention. And when your prospect has never heard of your name, brand or product, the deck is even more stacked against you. But that doesn’t mean cold emails can’t succeed. It simply requires thinking outside of the box, using techniques that aren’t outdated or overused. In this post, we will deconstruct a few examples of amazing cold email campaigns to show you what worked (and what didn’t) and about their cold email messages. 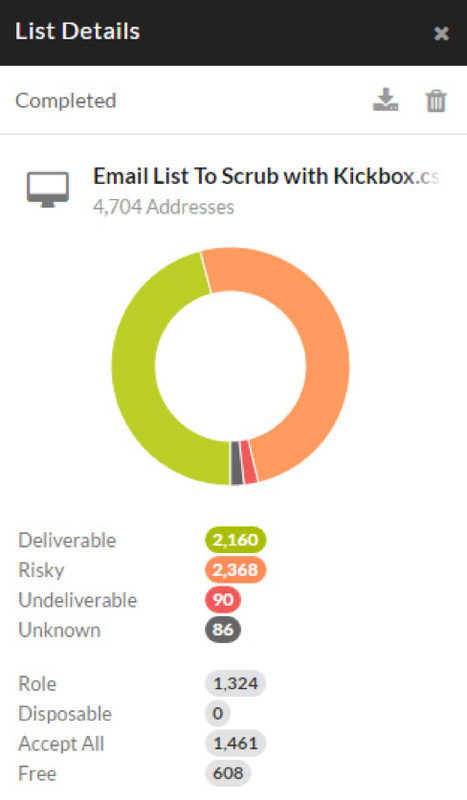 This campaign, ran by Nathan Williams of Crazy Eye Marketing, was kicked off by sifting through emails and removing duplicates or invalid addresses with Kickbox.io. You should never run a campaign without removing duplicates or invalid addresses because you need to get a clear grip on exactly how many people you’re working with. The quality of the leads wasn’t great because the client used a lead generation service that scours the internet to scrape up contact information. It’s best to use contacts that have already expressed interest in an industry related topic or problem. You don’t want to waste recipients’ time. Or your own. Tie your efforts on other platforms like LinkedIn or Facebook to your direct mail campaigns. By the time the list was condensed, there were 2,160 “valid” addresses. 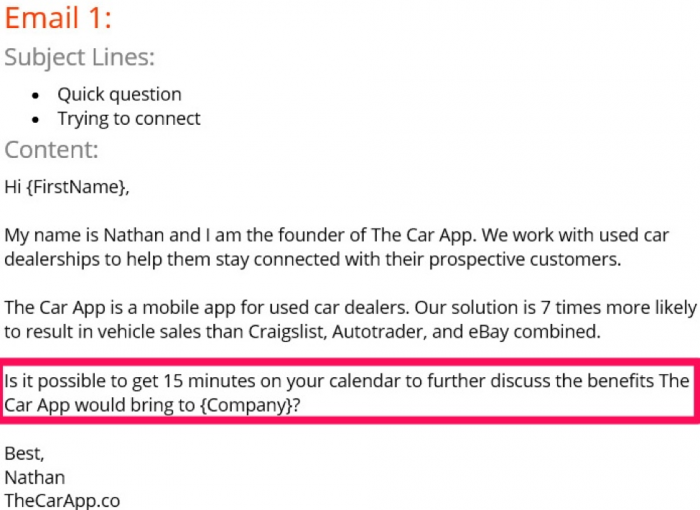 Then, Nathan used ReplyApp.io to set up autoresponders for a cold email campaign. However, Nathan also claims that the app was “clunky” and difficult to use. To avoid this problem in the future, Nathan could use Gmass. It easily integrates with Gmail to provide a more seamless and user-friendly experience. Then, Nathan’s team set up three Gmail addresses for the cold email campaigns. Replies were forwarded to the “real” client email address. That way, it isn’t necessary to log in to the accounts to check for any replies. This is a good idea because @gmail.com addresses have higher deliverability addresses across every kind of email provider. A “real” client email address, like “@theclientname.co, could wind up being filtered under the “Promotions” tab or worse – in the dreaded “Junk” folder. If your campaign happens to receive any spam complaints, your real address won’t be affected; the campaign address will take those hits instead. Five different email series were used and sent out to several hundred people. Then, once the series that worked the best was uncovered, it was sent out to everyone else on the list. The winning series was the first one asking for 15 minutes of the recipient’s time. Nathan claimed that he doesn’t know if the content played as much of a role as the CTA in this series being the winner, and I would have to agree. This is a series that has been proven to be tried-and-true by HubSpot with an open rate of 44.3% and a reply rate of 33.3%. 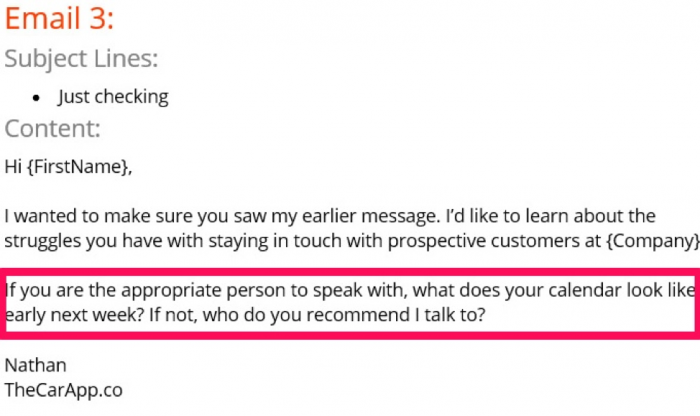 Email number two asked recipients who the right person to speak to at the company is. The last email of the series asked what the recipient’s calendar looked like the following week. These emails do a great job of getting to the point, keeping it short, avoiding images, and closing with a question. You want to focus on the recipient of your email campaign, not yourself. 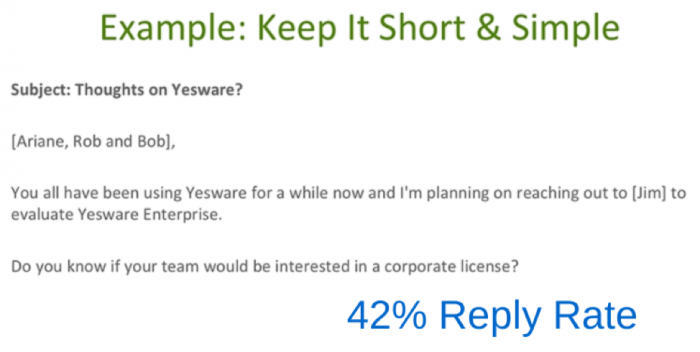 Keeping it short, sweet, and simple makes for a great cold email formula. 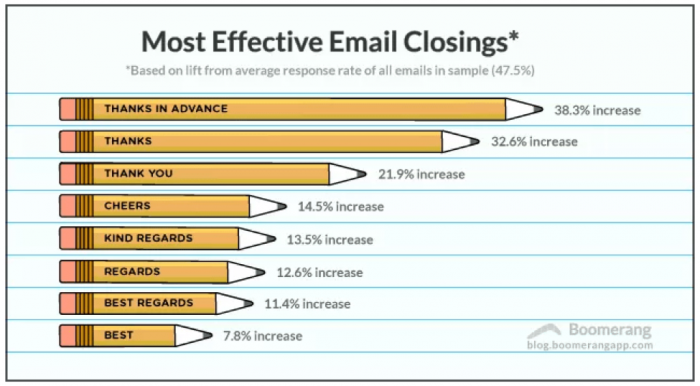 Email 1 had the highest open rate, while email 2 had the highest rate of reply. If leads were more qualified, the results would have likely been higher. If the email signature featured all of the clients’ contact information, the emails would have come off as more trustworthy and credible. You want to put in your phone number, website, and address. It also helps to include a business logo or professional headshot. Some companies also add social media links. Nathan was right to follow up consistently. Just because someone doesn’t respond doesn’t mean you should give up. To properly determine the success of the campaign, Nathan should have also recorded “sales generated” to see if the messaging is aligned with the end goal of the campaign. The higher your open rates and response rates are, the higher your generated sales should be. It could have also been helpful to suggest methods of communication. Do you want to speak with recipients via email or phone? 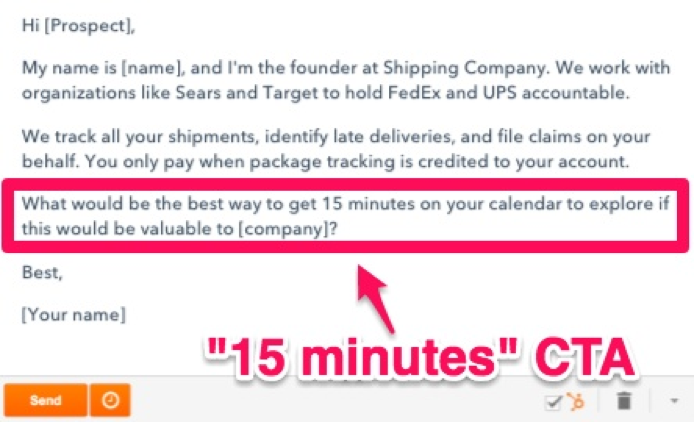 Instead of saying you just want to “speak for 15 minutes,” ask for a 15-minute call. 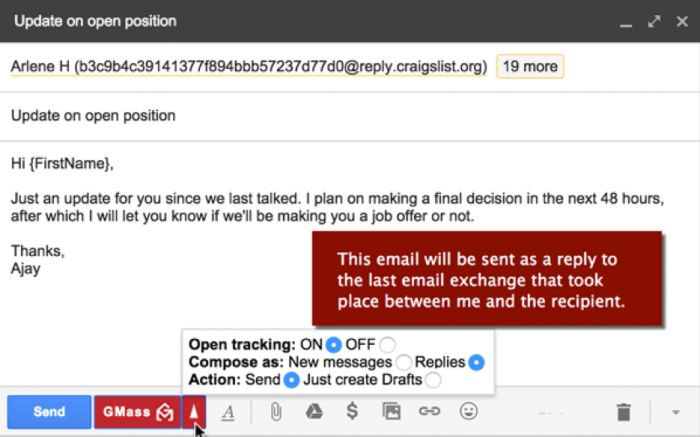 An email closing of “thanks in advance,” “thanks,” or “thank you” could have also increased response rates, according to Boomerang. Adding a P.S. to the email is never a bad idea, either. This is also a great location to split-test additional links. Overall, this campaign was executed well, but a few improvements could have boosted reply rates. When cold emails are done right, they pay off. One cold email landed Client Flow’s Patrick McNeely a $15,000 consulting project. To get started, he created a plan by identifying his ideal client: an internet company. If you find shared interests with those you plan to contact, you will add more value to your emails. Next, he created a company profile to break down the different types of companies he planned to contact. This step is a great way to qualify your leads. You can use Crunchbase to find most of this information. The short subject and email body pulls recipients in and keeps them there. It also cuts your time spent on email production in half. If you’re looking for a personalized template, you can find one that I’ve crafted for you here. The link in the email signature also helps to provide context about your company. By addressing the recipient by their first name, this email keeps it very personal. Though two leads out of 500 is only a 0.4% conversion rate, Patrick only needed one to make a profit. In the internet startup world, two leads is huge. Then, Patrick set up a call with each lead and reviewed the goals of the project to write up an estimate using Ballpark. The app can be used to track and outline every phase of a project. He sent out to an estimate for $15,500 to one client for a small UX and design project and a $43,250 estimate to the other client for a large UX and design/development project. Patrick never heard back from the second client. After negotiating with the first, they agreed on $15,000. While a $15,000 profit from one email is a huge accomplishment, a few improvements could have made this number even higher. To start off, Patrick only used one email for all 500 recipients. A quick A/B test of several emails to a smaller test group could have helped him find subjects and copy that performs better. Detailed reporting to track opens, CTR, views and more would have also helped to better determine the success of this campaign. Follow up emails to all 500 recipients would have lead to more replies. Only 67 responded out of 500. It takes at least five follow-ups to close a sale, but 70% of salespeople give up after the first email. By pushing out follow up emails to the other 433 recipients, Patrick could have scored even more clients. Consistency is key. With a few changes, $15,000 could grow into six figures of profit. Shane Snow, the author of Smartcuts: How Hackers, Innovators, and Icons Accelerate Success, played around with a cold email strategy for those looking to make connections or gain advice. In his experiment, he gathered 1,000 email addresses from some of the busiest executives in the country: CEOs and VP level employees of Fortune 500 and Inc 500 companies. These people already get more emails than the average person on any given day, so Shane wanted to see if he could “cut through the noise” of their inbox. Once he gathered addresses, he sent recipients a cold email with a CTA asking which types of cold emails that the executives like and dislike. Then, he tested several elements like subject lines, closing lines, and length. He also changed the benefit from “your insight will contribute to…make the world a little better for us all” to “it would be great for me and my project” and reworded his request for their input. Shorter subject lines got 51.2% of opens, while longer subject lines got 48.8%. “Quick Question” subject line got ~2x the open rate of a longer subject line. Shane’s conclusion was that the right subject line makes it no harder to get a busy executive to open your email than the average person. However, the content does. You have to appeal to their question of “why me?” to make them go out of their way to reply. It was a great idea to test the differences between subject lines, closing lines, and length, but this campaign could have been improved if Shane had tested several different email bodies. Additionally, he could have won more people over by including his contact information and a few links in his email signature. By following up again and again, Shane and his team could have racked up more replies. Data from IKO System shows that there is a 27% chance for a reply by your 7th email follow-up. Cold emails are an easy way to build valuable industry relationships. With a few tweaks, this experiment may have yielded more replies. 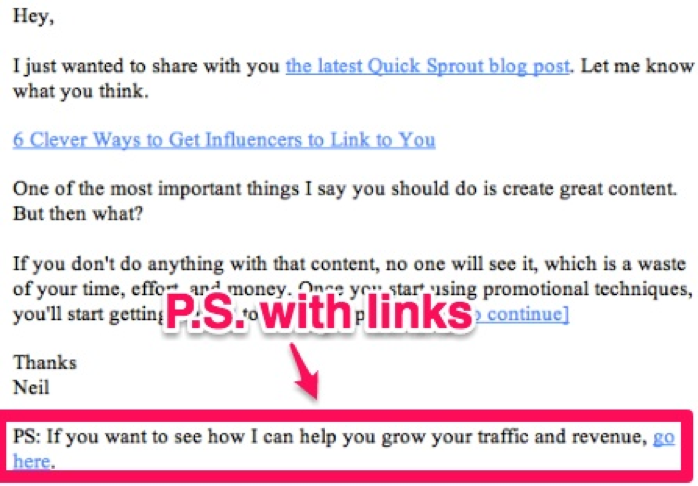 Cold email outreach can be used for just about anything from making sales to gathering links to your own foundational content. 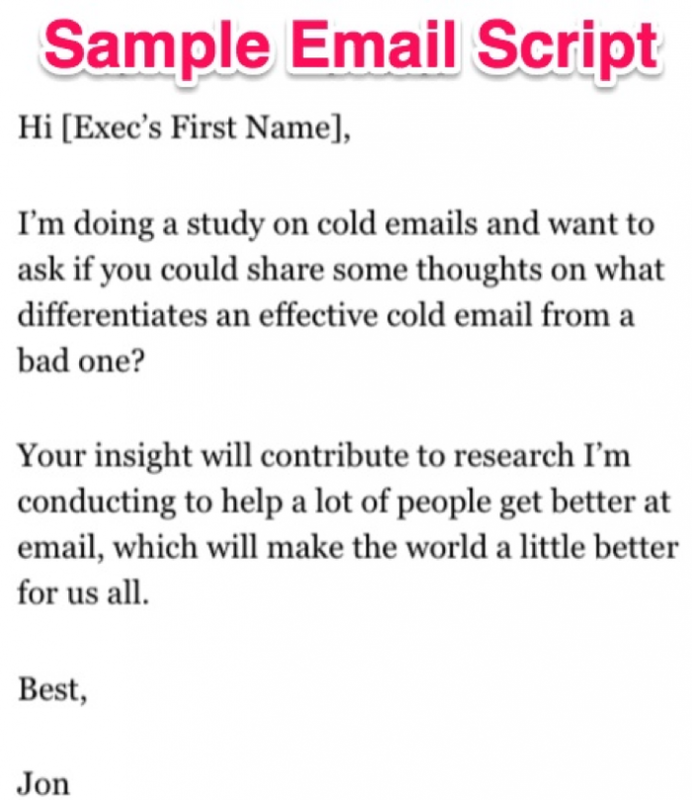 Here are a couple of cold email formulas and templates to get you started. It’s much better to send out an email that tells your prospect what you have to offer right away than sending them a lengthy novel. That’s a successful reply rate for any kind of campaign, but it’s especially high for a cold email campaign. If your email is any longer than 200 words, make it shorter. Cut out adverbs and non-essential information. Get straight to the point. When you send someone a cold email, they’re going to know that you want something. So it’s best to let them know what you have to offer, why you’re offering it, and what they can do to get in touch if they like what they read. Answer those three questions in your email, and you’ll be good to go. With this formula, there’s no question about what you want from the recipient. Sending cold emails is a grueling process. And it’s almost impossible to cut through the noise of a crowded inbox. But if you think outside of the box, you can land the deals, clients, and industry relationships you want. Delete any duplicate emails from the recipient list you have created and make sure that the email addresses are valid with Kickbox.io. 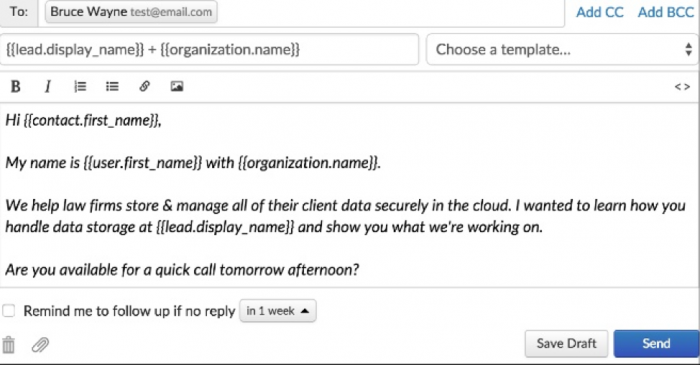 Use a tool like Gmass for mass email campaigns and scheduling. Be sure to add in a CTA. For example, ask for 15 minutes of your recipient’s time. A/B test several different series of emails. Don’t just send one. Follow up for the best results. Track detailed reporting on all of the messages you send. 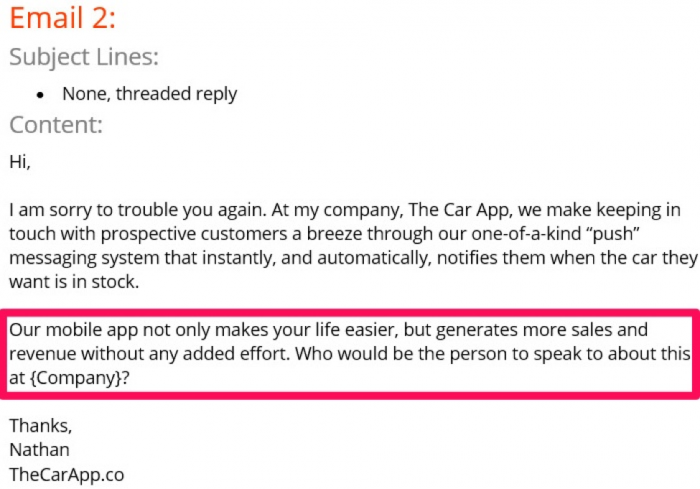 This includes open rate, reply rate, and sales generated. That way, you’ll know exactly what works and what doesn’t. Play around with different closing statements, add links to the email body and your email signature, and try adding a P.S. to the end of your message. Keep things short and simple and tell your prospects what you want right off the bat. They won’t want to read through tons of lines of text. Everyone hates cold emails, but if you do it right, you can land more prospects and sales than you ever thought possible. Follow these tips from the experts to build your next cold email campaign.